The friendly Hotel Fortuna West in Prague offers modern, comfortably decorated rooms which provide all desirable amenities. The restaurant and bar spoil the guests with Czech and international cuisine. The Hotel Fortuna West also offers several meeting rooms which accommodate up to 100 persons. Two handicapped accessible rooms and non-smoking rooms are available. Hairdryer and iron are available at the front desk as well as safe lockers for depositing valuables. 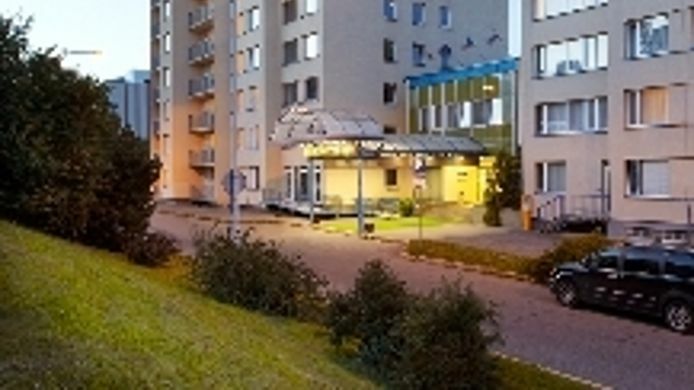 The Hotel Fortuna West in Prague is located 9 kilometres from the International Airport. A tram station which provides a good connection to the city centre can be reached within 10 walking minutes. The city centre with the famous sights like the Prague Castle and the Wenceslas Square can be reached within a 25-minute ride.